This post covers 5 free online air traffic tracker websites. Using these websites, you can see the real-time air traffic and plane status online for free. Most of these sites are not fully free but in the free version, you can track the live air traffic and see flight status. All these websites work as a nice planer finder as well. You can enter a flight number and see its live status. You can see the destination and its current position on the globe. Apart from the air traffic and flight status, you can see the expected time for the flight to land on the destination. To see all these details, you just have to use the map that these websites offer. To see the live air traffic, you don’t have to create an account. You can either see the overall air traffic and then analyze that. Or, you can enter a specific flight number to track that flight. By default, they all show you the real-time air traffic. Alternatively, you can click on any flying plane to see the corresponding details. However, in the free plan, some of these websites only let you see the air traffic for 30 consecutive minutes. After that, you will have to refresh the browser tab to see the data again. RadarBox is simple website which you can use to see the air traffic online for free. It lets you see the overall air traffic on its main website without creating an account. 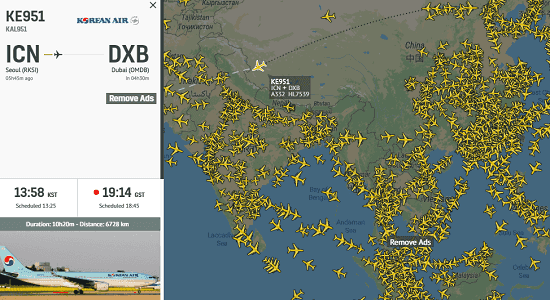 You can see the live status of planes on the globe and the detailed information. For each plane on the map, you can see the details like its altitude, latitude, longitude, flight number, destination, starting place, name, and some other details. It shows the air traffic for consecutive 10 minutes and after that, you will have to refresh the browser tab. As I have mentioned already there is no need for an account if you just want to track the air traffic. Just access this website using the above link and then see the air traffic. To see the details about any plane, just click on it. Or, you can hover over it to see its flight number. Also, in the sidebar, you can see more details about a flight that you can analyze and then do whatever you want. Planefinder.net is another simple website that you can use to easily track live air traffic. In the free version, there are ads on the map but you can see the real time air traffic data clearly. It lets you analyze real time plane traffic on a map and you can see the details about any specific plane as well. In addition to that, you can use it to find a specific plane via its flight number and then see the corresponding details. For a flight, it shows you its distance, departure time, geo coordinates, speed, and a lot of other parameters. Simply open this website and then start doing research on the traffic data that it shows. You can use the map to see the live air traffic at any specific region. 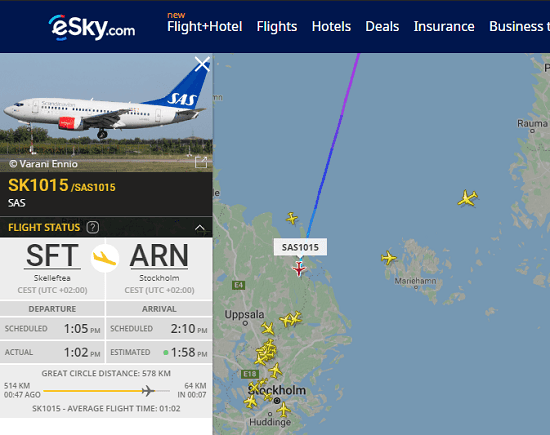 You can see the flight details about any plane by just clicking it on the map. Or you can search a plane using the serabox that it offers. However, for some planes it may not show you the complete data. FlightAware is another free website that you can use to see the live air traffic for free. To see the air traffic, you don’t necessarily have to create an account. It shows the real-time air traffic on its main interface and then you can analyze that. Just click on any plane on the map and see corresponding details. It opens the details page in new tab and you can see flight data like arrival time, departure time, landing time, aircraft information, airline information, air route, and some others. You can see all this data for every plane that you see on the map. 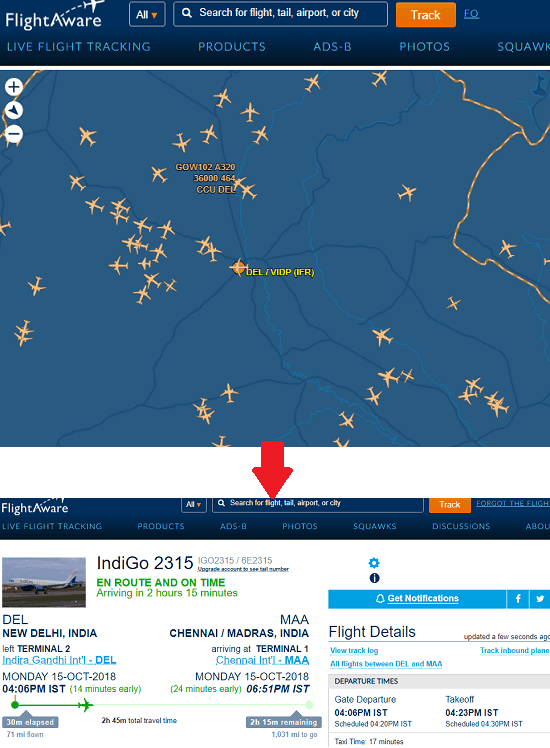 To track air traffic using this website, access it using the above link. After that, wait for a few seconds for the map to load fully. When the map has loaded, you can see the air traffic at any point on the globe. Click on any plane to see its corresponding details in new tab. On the map, you can analyze the air traffic over any region of the planet and then do whatever you like. 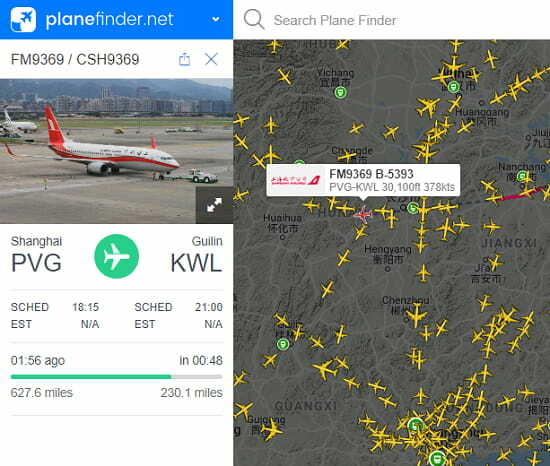 FlightRadar24 is yet another free website that you can use to track live air traffic. In the free version, this website times out after 30 minutes and then you will have to start a new session. Just like above websites, you can see the air traffic in real time and see the flight status of individual plane as well. You can see the air traffic at any point and look for a plane explicitly as well. You can track any plane by simply searching for it on the website. You can see the details like destination, departure time, arrival time, current coordinates, distance covered, and some others. 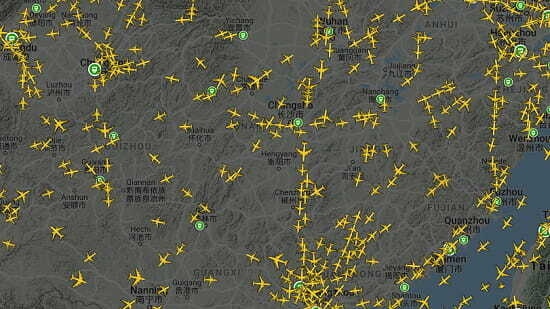 Just open this air traffic viewer in your browser and analyze it. You can pan over the map to see the air traffic over any specific region and then select any plane that you like. Also, you can search for a specific plane explicitly too. Just click on any plane on the map and then see all the major details about a flight. You can do the same thing with any plane but do keep in mind the timeout limit. eSKy.com is the last free website in my list which you can use to view and track live air traffic. However, here again you can only see the live traffic for 30 minutes only. After that it removes your session and you will have to refresh the browser tab. There is an interactive map on this website which you can use to see the air traffic and movement of planes. You can select any plane and see the information about a specific flight. It can show you some basic flight information like location of the plane, departure time, arrival time, plane name and many others. Go to the this website and then you can see the live air traffic. Wait for a few seconds for the map to load and then you can see the live air traffic at any location on earth. Just like all the other websites above, you can see the details about a flight. It opens the flight details in a sidebar on the left side. After that, you can track the current plane or any other plane in the same manner. All the websites that I have mentioned in the above list are very good for seeing the live air traffic. And you can track a flight along with the real-time air traffic as well. If you are okay with the fact that these put some limitation on free access then you will like them. And the best part about these is that the account is not compulsory. You can see the live air traffic at any specific region of the globe and track any plane you want easily.